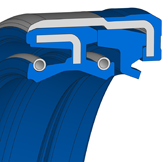 The Simmerring Combi Seal consists of at least two mounted elements which are preferably used in agricultural and construction machinery. 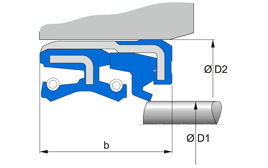 In addition the PU element in this system can provide effective sealing for small axial motions. Performance in relation to dirt from the outside High resistance to dirt from the outside. Suitable for protection against sludge.